NEWARK, N.J. (AP) — A man prosecutors said was on a “jihad” to avenge U.S. policy in the Middle East pleaded guilty Tuesday to killing a college student in New Jersey and admitted killing three more people in Washington state. 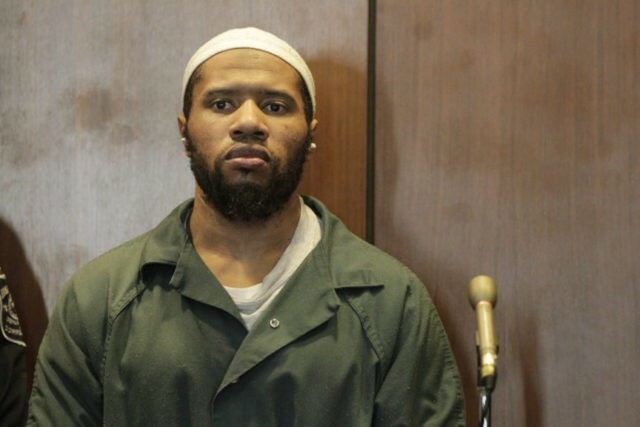 The Essex County prosecutor’s office said Tuesday that Ali Muhammad Brown admitted shooting 19-year-old Brendan Tevlin in late June 2014 as Tevlin sat at a traffic light in West Orange, a few miles from Newark. Brown, a 34-year-old former Seattle resident, pleaded guilty to multiple charges, including murder, robbery and terrorism. He was the first person charged with terrorism connected to a homicide under a New Jersey law. Jury selection began last week for Brown’s anticipated trial in New Jersey, and opening statements had been expected to begin next week. He notified prosecutors of his decision to plead guilty Tuesday. During Tuesday’s court hearing, Brown also took responsibility for killing three people in Washington: two young men who were shot in Seattle shortly after they left a gay nightclub in June 2014, and a man killed outside Seattle two months earlier. Brown said he killed the two in Seattle because he believed they were gay. Semper said Brown would have to formally plead guilty in Washington state for those cases to be resolved. The killings “were part of an overarching plan to kill Americans” in retaliation for what Brown contended were “millions of lives” the U.S. had taken in the Middle East, Semper said. In court papers filed in Seattle in 2014, authorities said Brown described himself to detectives after his New Jersey arrest as a strict Muslim who had become angry with the U.S. government’s role in Iraq, Iran and Afghanistan. He claimed the government’s actions led to the deaths of innocent civilians and children. In a subsequent recorded interview in New Jersey, Washington authorities wrote, Brown described his idea of a “just kill,” in which the target was men unaccompanied by women, children or elderly people. According to prosecutors, Tevlin, a University of Richmond sophomore, was driving through West Orange on his way home to nearby Livingston when Brown and two other men, following him in another car, jumped out and surrounded him. Brown shot Tevlin through the passenger-side window, hitting him 10 times, prosecutors said at the time of Brown’s arrest. Tevlin’s car was then driven to an apartment complex in West Orange with Tevlin inside, and some of his personal belongings were stolen. Brown was found hiding in the woods in West Orange a few weeks after the shooting. After his arrest, prosecutors in New Jersey said results of ballistics tests from the Tevlin shooting were put into a national database and matched with the gun used in the Seattle killings. Brown currently is serving a 35-year sentence for an armed robbery committed before the Tevlin murder.